2017 is likely to be the year we see a massive increase in the number of smart home assistants available, with LG and Lenovo already announcing their own products. However, while these devices are useful they’re all increasingly similar in terms of looks and behavior. This is why UK-based company Emotech has decided to bring a home assistant with a bit more individuality to this year's CES in Las Vegas. Called Olly, Emotech’s assistant intends to stand apart from the rest of the hubs by showing a bit of personality. Emotech are fairly sure Olly’s personality will appeal to everyone because it adapts to suit your own over time, kind of like that person in a group who waits for everyone else to express an opinion before tailoring their own. According to Emotech, the more you interact with Olly the more its behavior will evolve to suit your own. So, if you frequently chat to Olly and live in a loud and busy environment, Olly is likely to to reflect this by moving, flashing its lights and chatting quickly. If you prefer a more quiet home environment, Olly will learn this and adjust its movements and speech accordingly. All of this is possible thanks to AI and machine learning which make it possible for Olly to learn your household routine, identify each individual member of your household and adapt its behavior accordingly. 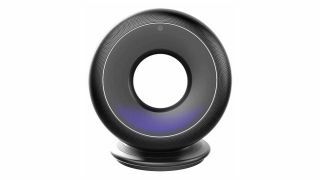 As far as function goes, Olly isn’t all that different from devices like the Amazon Echo – it’ll be able to do things like tell you the weather, play music, and perform internet searches. However, its ability to learn from your behavior might make its speech or suggestions feel a little more personal. Emotech doesn’t have an exact price or release date set just yet, but it’s expected to be out later this year, and with four CES Innovation awards under its belt already it’ll be interesting to see how it compares with other home assistants out there.